The Supreme Court of Kenya asserted its independence on September 1 by annulling the August 8 Presidential elections in its entirety. In so doing, the key Constitutional tenet preserving the sovereignty of the people of Kenya exercised by voting to elect their representatives and supremacy of the Constitution as captured in Articles 1, 2, and 3 of the Constitution of Kenya 2010 was upheld. In so doing, Kenya maintained its position as a small but aggressive global pacesetter by becoming the fourth of an elite group of precedent-setting nations — Ukraine (2004), Maldives (2014) and Austria (2016) — to have similarly annulled a presidential election. Consequently, we now have a make-good repeat election on October 26 well within the 60-day limit to hold fresh exercise as outlined by the Supreme Court. As we approach this political cliffhanger, it is worth noting that despite the loss and disheartening prospects of yet another grueling election campaign following the ruling, Uhuru Kenyatta has acquitted himself superbly well throughout this electioneering period. 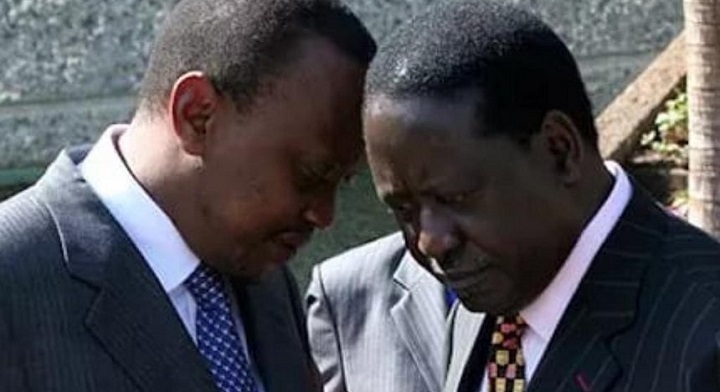 It should be remembered that when he took his first stab at the presidency in 2002 and lost, he stated that: ‘I accept your choice, and, in particular, now concede that Kibaki will be President’. This despite the fact that his main benefactor still held the instruments of power and the option of an election petition was available to him. Furthermore, earlier on in 1997, Kenyatta ceded defeat to a political minnow, in the name of Moses Mwihia, despite his seemingly undisputable political pedigree in Gatundu. To his credit, this is not the first time that Kenyatta has accepted to co-operate with the courts as was the case in October 2014 when he attended the International Criminal Court (ICC) proceedings in The Hague. In this unusual circumstance for a Head of State, President Kenyatta, in an unusual move, transferred power to his deputy to attend the trial stating that he was determined not to drag the “sovereignty of Kenya (or) 40 million Kenyans” with him in the crimes against humanity charges stemming from the 2007/8 post-election violence. At the moment, Kenyatta has, for the second time, subjected himself to the authority of the Supreme Court, the first being in 2013. Each time following the judgment, he has accepted the decision of the Court, albeit with severe reservations in this year’s verdict. The court ruling undeniably was bound to spark off a flurry of angry denunciations and trigger bitter recriminations within the Jubilee rank and file. However, what remains indisputable is that as a result of his tolerant posturing during this period, President Kenyatta’s patriotic and democratic credentials have been highly boosted and are now, more than ever before, incontestable. Of vital significance in the current petition ruling is the fact that, while the judgment was a strong indictment against the conduct of the Independent Electoral and Boundaries Commission (IEBC), the Court fully absolved Kenyatta of any wrongdoing. His decision to adhere to the judicial process has therefore increased the deepening of institutional confidence by the public and further expanded Kenya’s democratic space under his watch, without diminishing his stature in any shape or form. The former Prime Minister, Raila Odinga, exercised his constitutional right in challenging the election result through the judicial process. Obviously, Odinga’s strategy of focusing on the integrity of the entire election process rather than the technicalities of reversing Kenyatta’s one million plus win yielded a winning result. Of more significance, however, is the fact that he made what seemed to be an extremely painful decision on his part, to take the legal route rather than have our democracy degenerate into violence and sustained conflict. While a lot of credit must go to both Kenyatta and Odinga for reigning in their supporters, the big winners in this trial are the Kenyan citizens. It is the hope of most Kenyans that the two dominant Presidential contenders will maintain their statesmanship and gentlemanly mien as we move forward to the election, and in so doing, ensure we collectively continue to benefit from the peace dividend arising from this ruling. Elections must remain a process of citizen’s exercising their democratic right to self-determination rather than a series of unending episodes of acrimonious political warfare. The highly esteemed lawyer Steve Mwenesi, representing the Law Society of Kenya (LSK), best summed it up when he aptly lauded the landmark decision as “a celebration of Kenya’s maturity as a democratic country” leading to institutional deepening whereby the judiciary has now edged even closer to becoming an integral part of the electoral process as it [well] should be. Unfortunately, this block of political maturity has been undermined by Odinga’s call for demonstrations on October 26 having sensationally pulled out of the race on claims that IEBC did not meet his ever-increasing irreducible minimums. On his part, President Kenyatta has insisted that the Supreme Court order was clear that the election must be held within 60 days and this is his irreducible minimum as he takes another stab at what he claims was a stolen victory by the Judiciary. The judicial wisdom, in this case, is for Odinga to return to the “ring” or “Ground Zero” on October 26 and should the IEBC not carry out credible elections, return to the Supreme Court for the dispensation of further justice. This is the democratic way – this is the only route to power!